In chapter 12 and 16 they talk about what I like most about newspapers. Oddly enough, for how much I love to write - I like newspapers to be more visual....that's my learning style kicking in though I guess. Photojournalism is something I've always been really interested in because in newpapers I feel that the stories a so watered down, that it's the pictures that really save the paper. The photos are the part that bring out the emotion and energy - which is wonderful. Also, design is wonderful! I love that the Setonian is open to using out of the box ideas in designing so our younger, more visual audience will be more led to pick up a paper and read it front to back, instead of skimming the headlines. I think this is way I'd rather be in magazine writing, because magazines really play around with these two elements - which are my favorite parts of journalism. In our reading for Media Lab, The Elements of Online Journalism, in chapter eleven it talks about the kinds of jobs in multimedia - let's examine. Graphic Designer - Able to design logos, banners and text for websites. I think I could do this, I'm really interested in this field and probably would have picked it as my major had I not picked one coming into school. But I'm thinking of picking it up as a minor, we'll see. Online Producer - Someone who has a background in journalistic reporting...well that's easy. Content Editor - Must have strong copy editing skills. Uh, check - I got this. Database Editor - Someone that is good at crunching numbers. I'll leave this one to someone else. Programmer - No, no, no - not for me. Web Designer or Multimedia Producer - This person puts all the elements together. Well, this is clearly my calling. I think I'm set, I'll find something to do (if it doesn't involve numbers or programing) so, career options I guess...easily do-able. As we continue reading Steve Krug's "Don't Make Me Think," I love the book more and more. First off, I love the catchy titles that Krug came up with for each chapter and his clear and clever writing style that makes getting through this book easy...maybe even fun. In chapter seven and eight, Krug talks about the home page. The home page is hands down, my favorite page to make because it gives your site its identity. But I like the examples that Krug gives because when (if) I'm ever working to make a company's website - I'll have to be able to work with other employees to make it come together - which can be hard since everyone might have different agendas and different ideas for how the company should be run and how the site should look. Clearly could pose a problem, but I'm sure that I'd be able to handle it. "Don't Make MeThink," by Steve Krug, our current reading for class, gets better with each chapter. Yes, of course some of the stuff that he talks about is just the same old thing that we've heard over and over in the past journalism-style writing courses. But if you put what he's talking about into the context that he's writing for (as in...not our class) than his book is great! Limit the amount of clicks your reader would have to take to find what they're looking for. Don't make your reader confused if they don't fit into a certain criteria (ex. if they work from a home office, don't make them choose between home and office). Omit needless words. Websites are more like a news article (short and to the point) than a research paper that you pull an all-nighter for. Get rid of the fluff and the instructions. No one likes them. Not that I didn't like chapter six, I have no real problem with it - it just reminded me of Griffin Gate and how dumb it is. Griffin Gate (for those of you outside of the Seton Hill Community) is basically how students and teachers see grades, course schedules and university announcements as well as I'm sure a ton of other things that no one knows abotu because no one knows how to find it. Breadcrumbs are supposed to be your saving grace in this situation, but with Griffin Gate the breadcrumbs are useless and don't explain the page you were just looking at properly. I always find myself stumbling upon something great on Griffin Gate - which is what Krug tells you NOT to let your reader do. Honestly, if the back button worked and the labeling of things made sense of Griffin Gate, no one would hate it. Maybe whoever made that site should take a look at this book. Keep up the good work Krug. A few things he says that I'd like to point out from the Intro to Chapter 3 are as follows. I honestly have been finding that this book is helpful. Though like some of the other books we've look at in class, some parts are "duh moments" but I feel that, that is the only way the point would get across in this book because after all, it is titled "Don't Make Me Think." "But the reality is there are so many Web sites in need of help - and so few people who do what I do - that barring a total collapse of the Internet boom, there's very little chance of my running out of work for years." (page 4) Good to know - Hopefully I can have that assurance when I get a job too. Fingers crossed. "Like a lot of common sense, though, it's not necessarily obvious until after someone's pointed it out to you." (page 5) True story. "Just so you don't waste your time looking for them, here are a few things you won't find in this book:..." (page 7) I like disclaimers so this section is a nice refresher from those books that promise to be EVERYTHING YOU'LL NEED!!! when you know that isn't true. I like that Krug puts this up from, he says what the book is and then assures you that it might not have all the answers you were looking for - but at least he says that upfront. These two quotes are obvious, but points that needed to be made. I like that the easy flow of wording that Krug uses keeps even the littlest things important and readable. "Making pages self-evident is like having good lighting in a store: it just makes everything seem better." (page 19) I like when my majors agree. This quote seems more client-based to me so that makes me think further into the Communication major than the Journalism but this kind of like being the "good kind of manipulative" when talking about making your clients happy. I highlighted a lot in this chapter because, though also obvious points, they were points that HAD to be made. (Part of the practicing what you preach deal.) I liked that this chapter laid out how readers, don't actually read, we scan and we only really read what we feel is important to us. I really liked the example of how a dog hears for this part. A dog only being able to actually understand what is meaningful to it; so like a reader only reading what is meaningful to them as well. Much like my reaction to Chapter Two, I liked that Krug gave the idea of what he was talking about and then gave good examples of how to put that idea into place when created a website. In this chapter he talks about conventions being your friend....clever. "As a rule, conventions only become conventions it they work." (page 35) Good, good, making sure we're not always trying to "re-invent the wheel," if something works - use it, don't try to change it. Visual noise - hmm...noise is a word I heard a lot of and I think I got this down - though I know sometimes when I'm making websites I like to make a lot of things stand out - so that is something I still need to work on. Overall, good book so far. Hopefully this continues. Maybe it's because I've watched one of the captains, Andrew DeMase, play football since we were little, or because of their current 7-0 record, or because they are a true "fairy-tale" story for football, but I LOVE Griffin Football. I've always been proud of this Hill and had school spirit, even when a lot of others didn't seem to feel the same - but now I really am proud to say "I go to Seton Hill" and "I know the boys on that field." This team has really been able to turn a young (4-year old) program around to something great. And a lot of thanks should go to Joel Dolinski. With this year being his first year as head coach, he's been able to lead this team to winning more games so far in one season than they have in the past three years combined. And he's been able to help turn these boys into men - you can tell their attitudes have changed and that they're a closer team and more appreciative of what SHU offers them. Make the nation see this change and see who has helped make it possible. Like any portfolio the basics are Coverage, Timeliness, Interaction, Depth and discussion 0 here's how I fit in this time around. Coverage - I missed two entries during the Kilian cycle of readings. I don't believe in going back and doing them, because the class discussion time has past, the ideas have been blogged about, I missed it. My fault, clearly - but going back to make up for it now seems pointless to me. Other than those two, I got them all. Timeliness - I actually did good on this one for once. I got at least five entries in on my standards of timeliness, which is actually more strict than Jerz's timeliness standards, so I feel like that is something to be decently proud of. Interaction - This is where I'm a little disapointed. I thought that I would get many more comments than I did, though I got the ocassional comment here and there, I feel that some of them were just to fill the requirement and some were just lacking. But here are entries that I'm going to be decently happy with. Daughter -Though it got some comments, none were from classmates or peers. Depth - Usually this section is not one of my strong points, but I think it will clearly stand out from the crowd this time around. I don't know if I meant to (I doubt that) but I got deep this time on a lot of entries and I'm pretty proud of that too I guess. Discussion - Like Depth, I think I did pretty bag-up in this section too, which is unsual as well. I not only left good comments but I linked to classmates blogs in my on entries as well. Knowing this, I tend to think about what I write before I just throw out a rant on this blog. There are different times and places for that. I learned during freshman year it's not always best to put you initial reaction to a reading right on your blog, it just doesn't make you look good in the wrong run - and now I'm okay with showing that entry because I can say that I'm not like that when I write, sure I voice my own opinions, but I never just sloppily throw them into an entry. That being said, let's look at Kilian. These are the entries I blogged about his book. Alright, so in a lot of these entries, because I'm self-centered at times, I just wrote about how I could fit into the readings and how I related to them. However, through them you can still see what I liked and disliked about Kilian's book. In entries numbered 1 and 2 I refer to parts of the chapters as "duh moments" meaning "well duh, Kilian, that point is obvious," now even though that sound critical, I feel that Kilian HAS to have that in the book because not everyone has had the experience of growing up with a computer, or more than one computer in their house like I have. Kilian needs to leave these "duh moments in there" for the fourth edition of this book because there are still people out there that will be reading it that have not had that experience that I've had, Kilian needs to relate to his reader and some of his readers will need that help in there. In entry numbered 3 there is really not much to talk about, I did a cop-out entry for that chapter. However, number 4 shows a decent entry about relating to your audience. NO MATTER WHAT this chapter needs to remain as is. Though it was difficult for our class to cope with because we are not geared towards making corporate websites, someday we may need to and I think this book is focused on people out in the businesses writing for the web, more than it is college students learning the ropes. (I may be wrong.) The only thing that I could see being changed in this section would be to add a sidebar or something that also gives the same kind of basic run down of rules for people that are not writing for corporate websites, to cater to the audiences of other kinds of web writing. The entry numbered 5 was sparked from another student's blog, which sparked an entry on Jerz's website, which is actually the entry that Kilian commented on. Clearly, we need to talk about this. Again, I feel that we are not the target audience for Kilian's book because of this, the categories he divides blogs into makes sense; however, if the goal of the fourth edition was to reach a wiser audience, Kilian should take into account the way that Andy and I showed that we could fit into more than one category and did so very easily. Obviously, I'm not out in the "real world" yet and I don't know if corporate web-blogs are "blender blogs" as well, but I'm going to guess that they are not. So, Kilian, if you were to revamp this section, give a little shout out to my boy Andy and add some of the ideas that he brought up in hi entry. The final entry I did about the Kilian readings was on chapter eight being wonderful. Though in the entry numbered 6 I do not elaborate on many of the points Kilian brings up, I do appluad that chapter for its blunt way of putting some difficult issues. I feel that more and more people/including writers are shying away from the issues and in doing so, are only making the problems worse. I like that Kilian brings up the "not so fluffy- stuff" because it shows that he's a true writer, a writer that is willing to put his work on the line, so others can grow and learn from it. Very nice, sir - don't change this section unless there are more facts to add or a more blunt way to put it. Like I said, overall, Kilian's book was a good read. Though some things were "duh moments" and some were over said, other sections can be improved by slight changes and some sections were great as is. Writing for the Web 3.0 was easy to read, through Kilian's professional yet fun and upbeat writing style that grabs onto and keeps the reader's attention and I'm sure with a few minimal changes, Writing for the Web additions after this one, will only get better and better. "Faith has a higher faculty than reason." The poem "Faith" by Robert Kendall is a compelling account of what faith is, as opposed to logic and how faith can be redefined through new uses of technology. Kendall is able to make all of this work through the use of style of words, animation, audio, and the text itself. First talking about the visual style of the words, on the index page of "Faith" the viewer can see that the typeface of the words and the illustration is imminent of what older versions of the Bible looked like. Also, the viewer can see that the word "Faith" is in a different type face than the other words, on the main page. Faith is in a typeface that looks similar to those that were commonly used in older versions of the Bible, as well and with that Bible typeface look, gives Kendall the ability to show the common idea of faith relating to the Bible and how Christians are able to have faith in something that is not scientifically proven or that is always logically sound. With this tie to the Bible, we can see that Kendall is referring to that out on a limb, all or nothing, kind of faith in his electronic literature. Furthermore, the animation of "Faith" shows the poem in five stages; the first stage shows the word "logic" continually falling down, hitting off of the word "faith" and then falling off the page, next the viewer sees the sentence "logic can't bend this," through this animation and view of this first sentence, the viewer sees that Kendall views faith as a higher faculty than reason, or logic. By using the line "logic can't bend this," (this meaning faith) shows that Kendall feels that faith is stronger than logic and logic is unable to shake (or bend) faith. Along with the animation of the first stage; the animation of the second stage adds words to the first sentence to make a more developed idea of logic being less powerful than faith. The next stage adds even more words to farther this idea, but to do so, this time the words are not just added to the text that was there. The new words bounced and blinked on to the screen, in to place and they stretched out some words to add more letters to make new words and more sentences. Along with that, the next stage shows more words being added by fading them in, but all the while still enforcing the same idea that faith is higher than logic. In the fourth stage, the viewer sees the line "off the rocker," and the word "leap" take the form of the action they create. "Off the rocker" tilts off the straight lines that the animation has formed and the word "leap" grows to take over the page and then leaps off the page. The final stage of the poem is all of the text falling to the bottom of the page, but leaves the sentence "just to sum up:" left, as the title, "Faith" falls as well, landing on top of the other words leaving the viewer with the final sentence, "just to sum up Faith." Along with the use of animation, electronic literature is able to use audio to make the text more relatable and interesting to the reader. This use of audio sounds like what random keys on a church organ would sound like if someone was just playing around on it. The audio being that of a church organ that is typically used during worship services, reinforces the point that Kendall is relating his poem to the faith Christians have in the Bible. Also, the audio use of chimes in this electronic piece of literature furthers the point of the church's use of musical instruments during worship because many churches use chimes to start the services and during special occasions, use chimes as an addition to the use of music in worship. 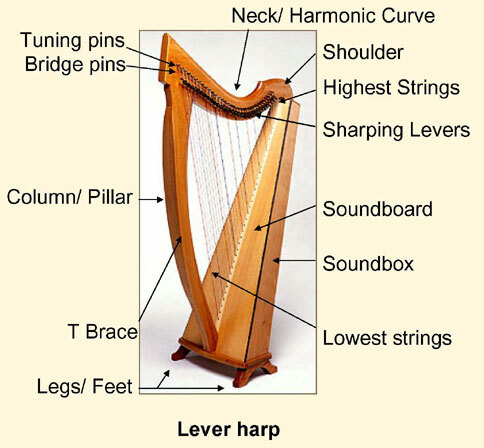 Another form of audio that is most prevalent in the second stage is that of the harp. The harp is another tie to the Christian faith belief because in some Christian art, harps are used in pictures of angels to show harmony and peace. Part Two: taking a closer look into Faith. As I began to investigate Faith by Robert Kendall a little closer than before, I thought that I would start with some definitions. Beginning the poem with the line "logic can't bend this..." Kendall shows that through out this piece of literature, there will be this out spoken battle between faith and logic. Kendall brings this message out in his poem, while it has always been a message that is portrayed in every day life as well. There has always been a great debate with faith and logic. Some people saying that not everything can be based on logic, that some things just have to be left up to faith; while others say that everything has to have a logical explanation. By starting the poem with "logic can't bend this," Kendall is able to say that logic cannot explain faith, nothing can, faith its own element and is unable to be measured against something else; it has to stand alone to make a point, or to have some meaning. As the poem and animation continues, the idea that faith is immeasurable and not able to be compared to anything else continues through, not only the use of the written word, but also the way the text presents itself onto the page. The line that mentions, "off the rocker..." not only comes up as visually appealing but also calls attention to that line and the idea that someone that makes all decisions solely on faith may be the same. At the end of the poem is the final idea. Leap. Leap and faith have been in common use together ("leap of faith") and that shows as the word leap grows, eventually taking over the page and the other words begin to fall down, while leaving the words just, to sum and up, still on the on the page. As the word Faith falls into place the viewer sees the final sentence being, "just to sum up Faith," as though the animation, noises and words have summed up the definition of the word while the poem played out on the page. Electronic Literature is not my best friend today. Some of these really made my headache much worse...not fun. Here are four that didn't drive me totally crazy. In Chapter 10 of The Student Newspaper Survival Guide the main idea is the editors. Nice. This chapter showed me a lot of what I'm doing right and wrong and how to improve in both aspects. I liked that it could make sense for a small or large scale of a student paper and also points out some things that the Setonian can work on. "Ads should not take over the content of your page. Banner ads should be placed either on top, bottom, or the right side of the screen." I don't really see this as becoming that big of a problem with the Setonian Online, but I think that is one thing the print version is terrible at. I have to admit I despise a half page ad, no matter who it is from and where it is in the paper. I understand the need for them, but I hate them. Umm, I'm done ranting. I feel like this one is much easier to do a close reading on than the last. But I'm still setting it up the same way. In Shelley Jackson's "The Body" she is able to show people a sense of self-acceptance through discovering her own body, instead of comparing her body to those of models and actresses that teenage girls are so often told to emulate. Unlike any other form of writing about the changes that a girl goes through while growing up, Jackson is able to show her readers a way to travel to the different areas of her body and her life by linking to different parts of the body, to let the reader choose their own path. In this way, the reader is able to experience Jackson's experiences as they come, instead of in chronological order. As the reader is led through Jackson's body and life, they are able to see into a different set of eyes on the issue of how a teenage girl and ultimately how women should look, according to the public's eye. These days, girls are told they have to look and be a certain way and as the reader is on Jackson's journey, those limitations for girls are destroyed by one woman's view of her own body. Through Jackson's ability to accept her shoulders, arms,leg hair, and her lack of hips, along with the rest of her body's unique aspects, she is able to show girls going through the "not pretty enough" struggle that image shouldn't matter. "Chasing me all around, leading me all around in circles..."
I always want to be the one in the class that figures this stuff out, so I literally followed it through until I had clicked on all of the links. It got me nowhere. The University of Yellow Wallpaper confused me like no other. (I did skim though some of the pages though, so that could be a factor too.) Needless to say, I was led in circles for a good while. Reading this reminded me of those mystery books where at the bottom of each page it says "continue reading or go to page (insert # here)" and the story is able to pick up either way and it makes sense in whichever way you take it. Though this didn't make complete sense, it reminded me of that because you choose where you go and which story path you are taking. Caroline E. White, author of The University of Yellow Wallpaper, puts hypertext to work in her book online, allowing the reader to take their own course through the book and the site as they chose which phrases to click on and which paths to take through hypertext. Though readers will fall upon some of the pages more than once, the story is able to continue through the use of different hypertext that is shown on most of the pages of text. A main theme that reoccurs throughout the reading is the present time, and the present time being a gift to those who notice it. Through the use of hypertext and linking to certain pages, White is able to show her readers the present time more than once and target that point home while the reader again and again stumbles upon it. PS - bonus points for the first person to say who sang the words of my title.